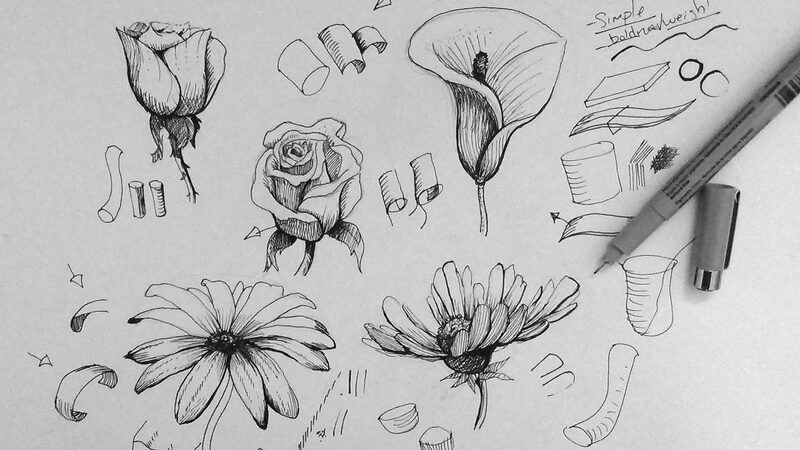 Drawing with ink is the next step from traditional pencil drawing, and while you can’t count on an eraser for your mistakes anymore, you also get a really creative medium where imagination is the limit. 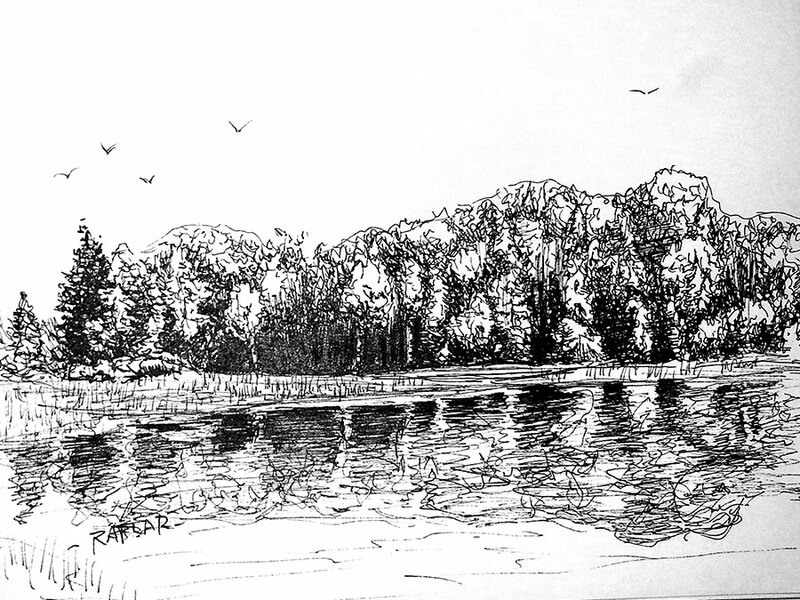 Traditional pen and ink drawings are made using black ink (ink of other colors is also okay) and plain paper, and the drawing techniques can vary depending on what you’re feeling. There are different types of pens you can use for drawing, such as dip pens complete with nibs and inkwells (the trick is to drag them – pushing causes splattering), fine-point pens for adding details, dual-brush pens for shading, and brush pens and markers for easier blocking. And don’t leave out the humble office pen! 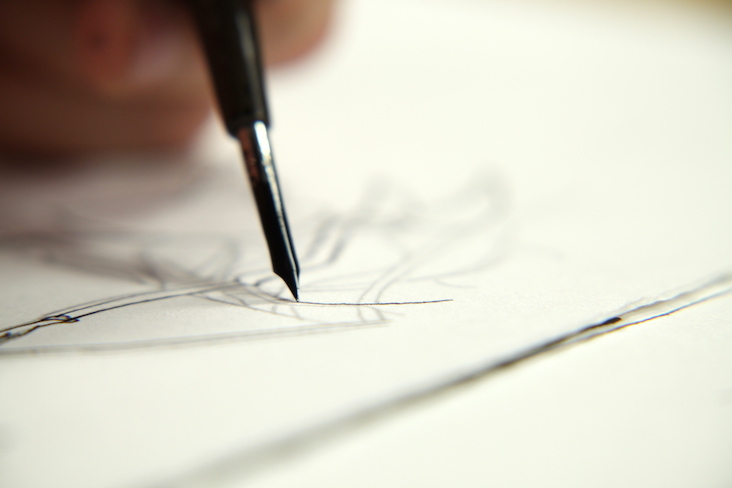 Many great works can be done with a simple ballpoint pen, and should be an important part of your creative arsenal. At the end of the day, there’s no “right answer” on which pen to use – different pens are used by artists and illustrators to achieve different effects – and it all comes down to the artist’s preferences and tastes. While pencils use shading that can vary depending on how much pressure is placed on them, pens don’t have that. Instead, they rely on texture to get the same shading. •	Doodles – Using random squiggly lines done loosely can indicate fuzzy or furry areas, overlapping for darker areas and thinned out for lighter ones. •	Hatching – Straight parallel lines (that don’t have to be perfectly straight or have the same distance) best used to add light shadows. •	Cross-hatching – Same as hatching, but twice in different directions so the lines cross. Used to make deep shadows. •	Contouring – Curving the parallel lines used in hatching by the shape of the object results in a more dimensional effect, which makes it stand out. •	Cross-contouring – Essentially the same as contouring, and best used to give deeper shadows along with an overall dimensional effect. •	Contrast – Shorter, angled lines going in directions different to each other produces a detailed look and implies movement. •	Stippling – Perhaps the most tedious technique that involves small dots clustered to indicate light and shadow, but results in more detailed shading. It helps to make preliminary sketches with pencil before inking with a pen, but be sure to keep the sketches light. Alternatively, you can also sketch with light washes of ink thinned with water. Taking time to experiment and understand these techniques lets you know how and where you can best use them. And while it’s okay to keep it basic at first, you also need to keep practicing until you feel comfortable doing these drawing techniques. Now get out there and start drawing!